Hello! This week Great Impressions is sponsoring the C.R.A.F.T. Challenge where the theme is Thank You. Come on and join in the fun! 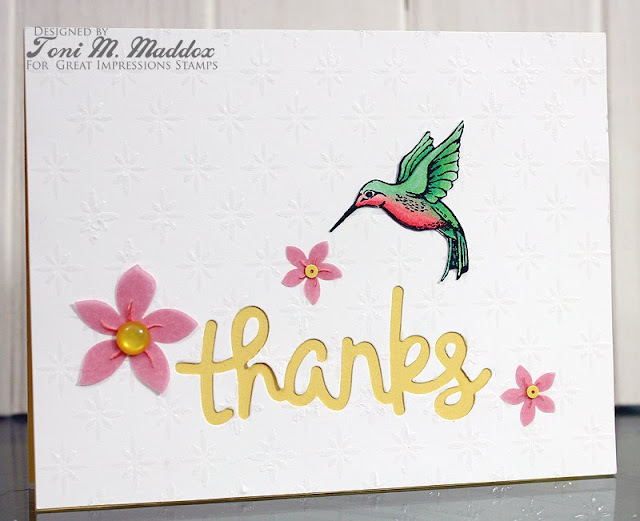 For this card I colored up the C383 Hummingbird stamp. Isn't it so sweet? And the perfect size for flowers large or small. Come on over to my blog to read more about how I created this card! That hummingbird is so 'tweet'! Love your darling card, Toni!